GK GomuProject - the original template site cards from the popular Polish studio GavickPro. 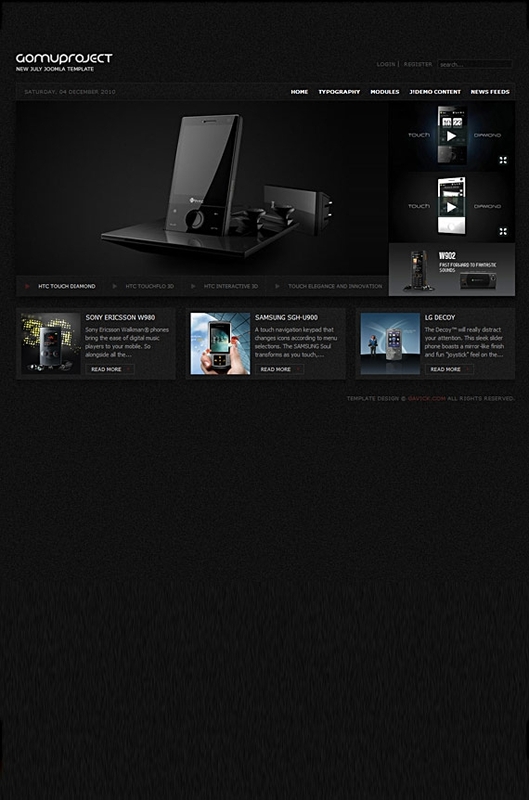 Excellent layout design, designed in dark colors worked very qualitatively to the smallest details. For quick operation template was used studio platform Gavern, which gives it a distinct potential. In the assembly includes best club extension that will display the most important information in a flexible and intuitive way. GK GomuProject perfect for creating a website service site.